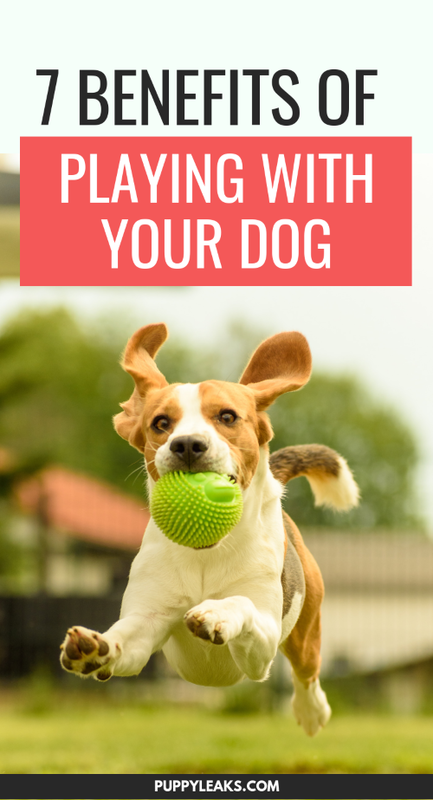 Everyone knows that playing games with your dog is fun, but what we don’t often consider is that the benefits of play go well beyond just having fun. Adding in a little more playtime to your dog’s routine is one of the easiest ways to enrich your dog’s life. 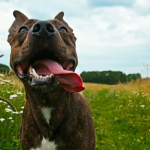 Here’s 7 benefits of playing with your dog. One of the benefits to playing with your dog is that it’s a fun way to get in some daily training. Now I’m not talking about traditional “teach your dog a trick” training, but I am talking about reinforcing desirable behaviors. And in the case of play that revolves around teaching your dog to follow some basic rules. Does your dog get too mouthy while playing tug? When that happens I simply stop playing the game. If you stop the game because your dog gets too mouthy you’re teaching them biting your hand is not acceptable. Does that feel like traditional training? Not exactly, and that’s why it’s so easy to forget that we’re training when we’re engaged in play. And that’s one of the greatest things about playing with your dog — it gives you a chance to reinforce good behaviors and have fun, all at the same time. We all know that physical exercise is important for our dogs, but we often overlook the importance of mental exercise. 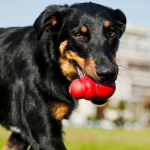 Interactive games like tug or fetch might seem like a simple way to keep your dog busy, but they also provide a lot of mental stimulation for your dog. Since games rely on some basic rules such as “you need to bring the frisbee back if you want to keep playing” they give your dog a chance to make their own decisions and help them build focus. Adding in a few quick games to your dogs routine is a way to ensure your dog gets a nice mental workout each day. Dogs require regular exercise, and using play is one of the funnest ways to make sure your dog has a chance to release all that pent up energy. And since playing with your dog requires you to get involved it means both of you will be getting in more physical activity. And when it comes to playing with your dog for physical exercise don’t worry; I’m not suggesting a 3 hour marathon game of tug of war. Just a couple of extra 5 – 10 minute sessions of play can make a huge difference. 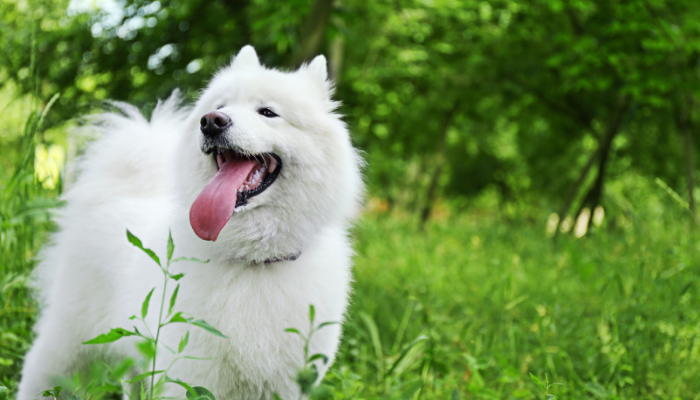 Games like frisbee or playing with a flirt pole are physically demanding, so if you add those into your regular exercise routine (which includes the daily walk) you can make sure your dog is getting plenty of exercise each day. And If you have a high energy dog I recommend checking out 5 quick ways to tire out your dog for more suggestions; these games helped tremendously when Laika was going through her “OK I know we just got back from a 3 mile walk but I’m still ready to go!” phase. Playing with your dog is fun, and as far as stress reliever’s go it’s a really simple way to improve both you and your dog’s overall mood. Spending time with your dog can have a calming effect, and some studies have found that it can help alleviate symptoms of anxiety and depression. Adding in a couple of quick 5 minute play sessions with your dog each day can have a big effect on both you and your dog’s overall mood. One of the greatest things about playing with your dog is how much it strengthens your bond. Spending quality time with your dog is one of the best ways to strengthen that bond, and when it comes to dogs play time is one of their favorite ways to pass the time. You’re not just providing them with fun when you engage them in play; you’re giving them a routine and reinforcing the idea that you are the bringer of all things fun — and that goes a long way when it comes to speeding up the bonding process. Dogs who engage in regular play are less likely to develop problem behaviors such as excessive barking and chewing. The reason being is that dogs get bored, and when your dog gets bored chances are they’ll find their own ways to entertain themselves — and that boredom is what leads to things like chewed up shoes. 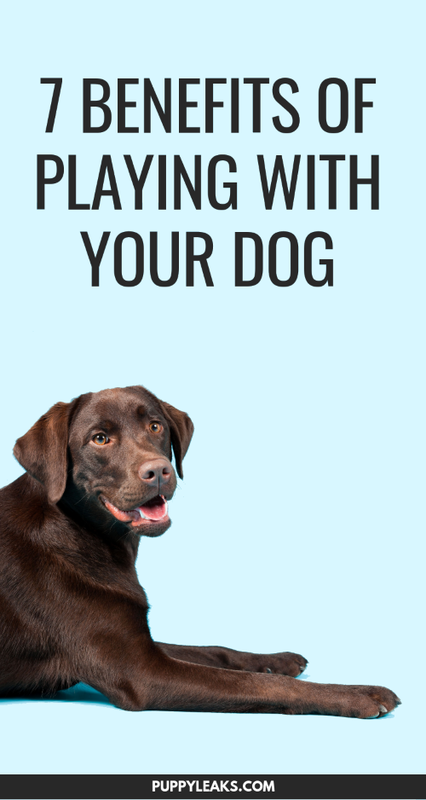 When you regularly play with your dog you’re keeping them busy and engaged, reducing the chance that they’ll go off on their own to find their own entertainment. 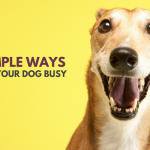 If you’re looking for ways to keep your dog busy & entertained I recommend checking out 33 ways to keep your dog busy indoors & 26 boredom busters for dogs. And last but not least playing with your dog can improve your social life. Whether it’s going to the park to play a game of fetch or taking your dog to the neighborhood playground, chances are you and your dog will meet some new people along the way. Your dog will benefit from brushing up on their social skills, and so will you. A study from 2015 found that being a pet owner was the third most common way that people said they met people in their neighborhoods, and that pet owners were 60% more likely to get to know people in their neighborhood that they didn’t know before. What Are Your Dog’s Favorite Games? What games does your dog enjoy most? Do you carve out time each day for a couple of quick play sessions? 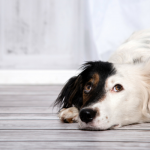 Does your dog seem more relaxed after play?